Depiction of the finding of Moses in the Nile by Pharaoh’s daughter. 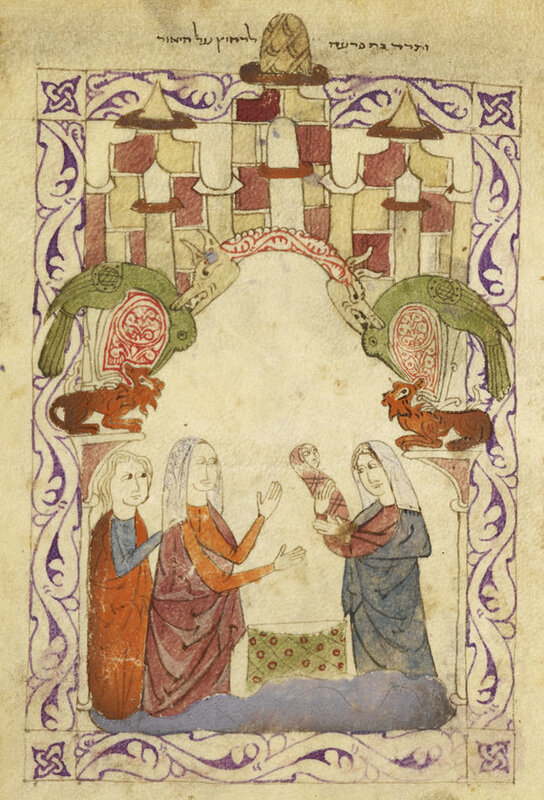 Hispano-Moresque Haggadah, Spain 1275-1324 (Or 2737 f065r). The British Library has launched its first ever fully bilingual web resource, providing free access to its spectacular collection of Hebrew manuscripts to researchers worldwide. The Polonsky Foundation Catalogue of Digitised Hebrew Manuscripts presents scrolls, codices and charters digitised in full, along with explanatory articles, videos and digital tools, offering scholars and the wider public alike the opportunity to explore this world-class collection as never before. Generously funded by The Polonsky Foundation, the Hebrew Manuscripts Digitisation Project involves the photography, description and – where necessary – preservation of 1,300 items in the British Library’s collection of Hebrew manuscripts, ranging from illuminated service books to Torah scrolls, from scientific and anatomical treatises to great works of theology and philosophy. The project’s website acts as a showcase for the collection, with images of highlight items and interpretive and contextual articles on subjects including Kaballah and mysticism, Hebrew bibles, Jewish communities in the Middle Ages and the process of conserving embroidered Torah mantles. 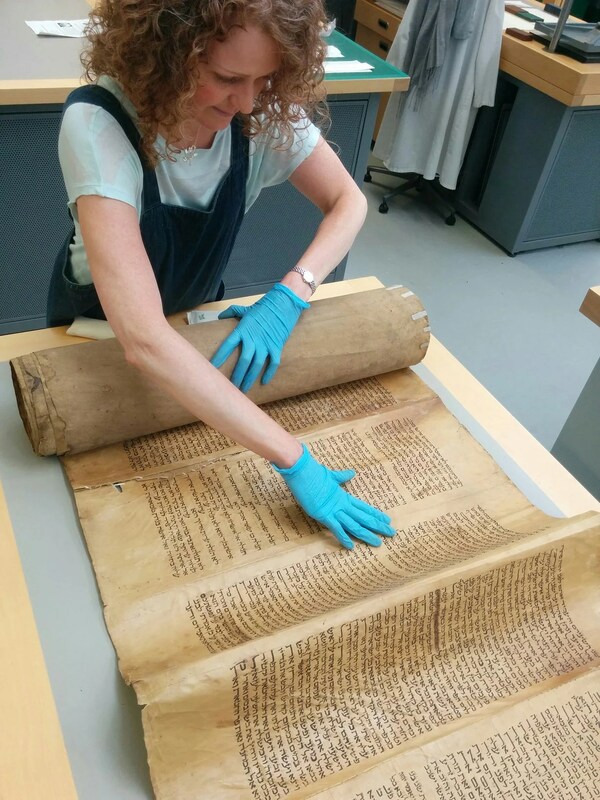 Video clips include time-lapse footage showing the meticulous work involved in digitising fragile scrolls, as well as presentations from the November 2016 conference on Hebrew manuscript digitisation by experts from the British Library, the John Rylands Library and the National Library of Israel. The site has also been developed to support translations between different languages, via a drop-down button on the page. This includes languages that read right-to-left, including Arabic and Hebrew.